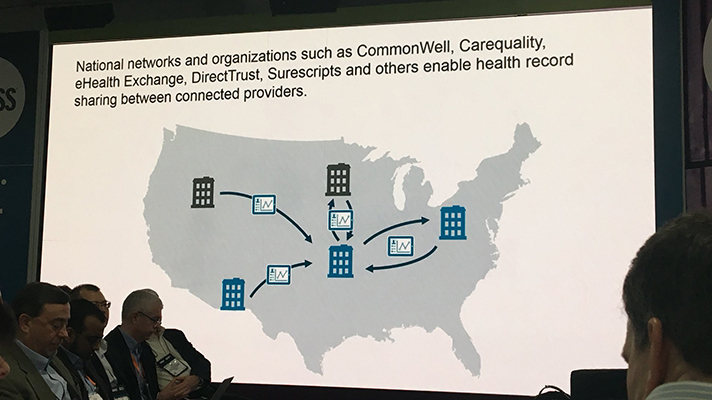 CommonWell Health Alliance and Carequality on Thursday kicked off live health information sharing between CommonWell members and healthcare organizations that have adopted the Carequality Interoperability Framework. That means hospitals that participate in either organization can now share Continuity of Care Documents with any other member, regardless of which EHR platform each is running. “This currently limited production use is the beginning of a broader effort to increase health IT connectivity nationwide by enabling CommonWell subscribers to engage in health data exchange through directed queries with Carequality-enabled providers, and vice versa,” Sequoia Project Marketing Director Dawn Van Dyke wrote on the Carequality website. The Sequoia Project oversees Carequality. CommonWell Executive Director Jitin Asnaani wrote on its site that it has met all Carequality requirements to move this capability into production. The organizations said that already early members of CommonWell shared 4,000 documents with Carequality-enabled physicians. Asnaani pointed to EHR vendors Cerner and Greenway, in fact, as examples of participants that already have providers live on the connection and explained that means CommonWell and Carequality can benchmark and validate the health information exchange.